Bargain Hunter, Appreciation of Fashion / Shoes / Bags / Make-up / Music / Perfume / Nail Polish etc... Also a Tea enthusiast ♡ This blog is just ramblings from me about life. So I thought i would review another No7 nail polish that I finally got around to using. 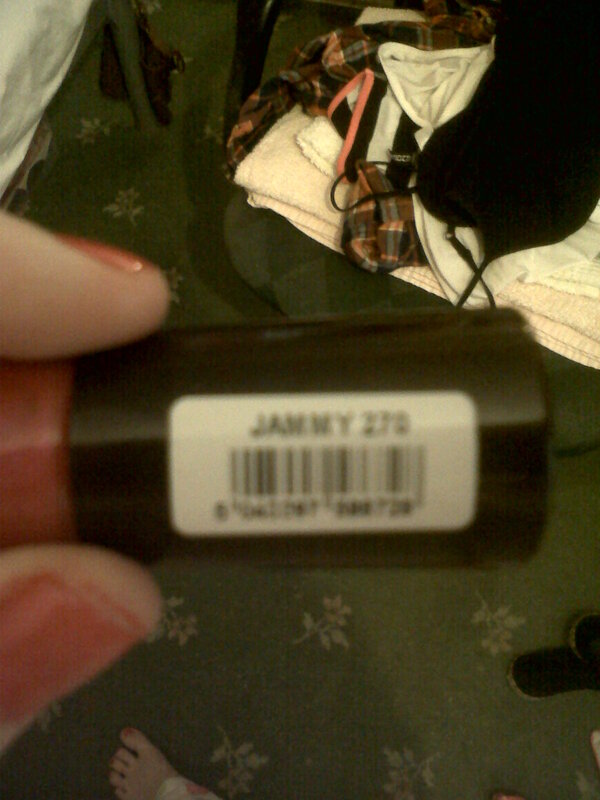 This nail polish is called Jammy - 270 and is from the Stay Perfect Summer range of No7 polishes at Boots. So the polish itself is a 10ml bottle which is a really good size for a nail polish. It states that is a pigment rich colour and i can definitely say that it completely delivers on this point. The colour is a gorgeous colour i would say it's somehwere between cerise and magenta and is more of a darker pink instead of the everyday pale and light pinks that are always available. The colour is a rich gorgeous pink colour and my photo's really do not do it justice. This is what the polish looks like on the nails. The colour is absolutely lovely on and makes a nice wee difference to an everyday pin, i like the fact it's a summery colour but it's in your face bright it's just quite plain but vibrant. The polish applies really well and smoothly and the colour is completely opaque within two coats. It also has a like a hue/pearlescent sheen when the colour hits the light, there is a sort of purple sheen that can be seen through the nail polish which is always nice to see, i don't know if that makes any sense but i know what i mean. These polishes have a new flat brush installed which No7 brought out last year and this makes it so much easier to apply the polish onto the nails and the whole nail is covered within three brush strokes. The only slight complaint i have is that the polish itself can be quite runny and i find that you need to really shake it up before you use it and also make sure you wipe the excess off as i found that sometimes excess polish would run down the brush and i would only notice when it blobbed onto my nail or my hand and then i had lost some polish which is no big deal but still it's better in the bottle than on my hand. Overall though the polish is lovely, perfect application, gorgeous rich colour and doesn't chip for about 3/4 days. 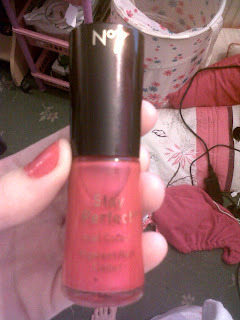 The nail polish retails at £7 but i got it for £2 with a £5 off voucher and that was a definite bargain!! I usually stock up on nail polishes when these £5 vouchers come out as a nail polish for £2 is a sweet deal and i stock up when these vouchers are out, i already have 57 different shades of no7 so far and can't wait to add more as they always have gorgeous colours. Do you girlies have any favourite No7 shades? I love Jammy, not worn it in a while though, might have to now! I know it's such a nice colour, can't believe that's me just getting arount to wearing it!! how do i follow them? Your blog has been accepted in Europe United Kingdom a minute! 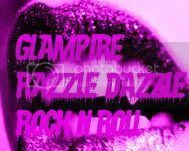 Stopping by from the blog hop, happy to be your newest follower. Barr M Lip Paint Review. Primark A/W 2012 Preview Collection. No7 Stay Perfect - Lucky Lilac Review. life just gets me down sometimes.